The FX market turnover on the Moscow Exchange increased to RUB 21.7 trln, which is higher by 16% when compared to the previous month and over 57% when compared to last October. As the Russian ruble continued to hit new all-time lows every week of the month, the trend of growing volumes shouldn’t be any surprise. The average daily trading volume on the Moscow Exchange’s FX market was almost 1 trillion rubles – RUB 944.4 billion. 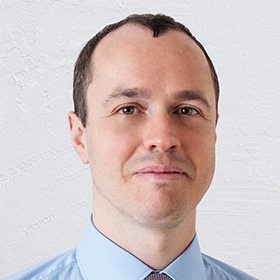 With the recent announcement by the Bank of Russia of its intention to limit the size of its interventions on the foreign exchange market, there is only one more tool left which it can use to combat the sliding value of the Russian currency – an even more aggressive interest rate hike than the one at the end of October. 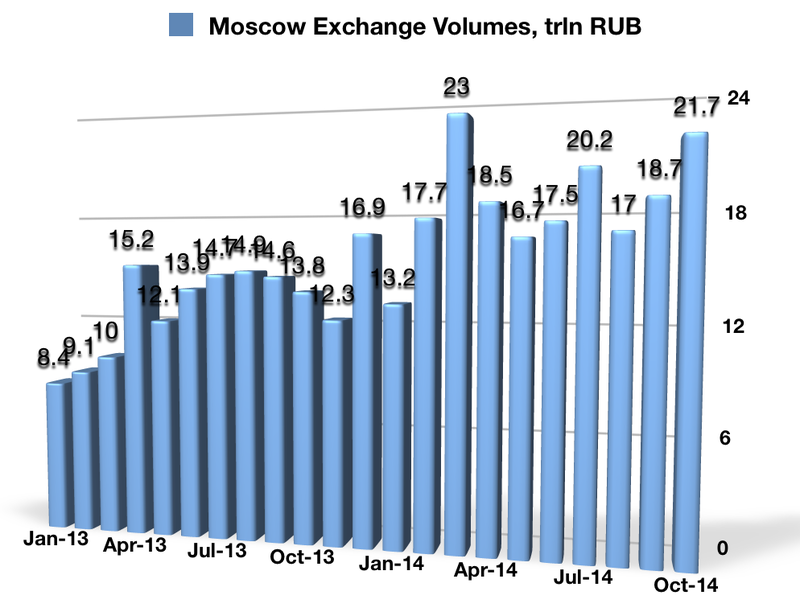 The derivatives market turnover on the Moscow Exchange totaled RUB 6.3 trln, 67% higher year-on-year when compared to October 2013’s RUB 3.8 trln. The total number of contracts traded was 142.8 mln, of which RUB 5.7 trln was futures and RUB 0.6 trln was options. The main driver for this volumes growth was the increased volume in FX futures, which were up 3.5 times YoY in October to RUB 3.7 trln. On the 30th of October, turnover totaled RUB 617 bln, or 13.9 mln contracts, which is a new record since the launch of the Moscow Exchange derivatives market. The market moves on that day were suspicious enough for the Bank of Russia to launch an official investigation as the Russian ruble sharply rallied by 5% in a single day as shorts were covered before the Russian central bank’s meeting last Friday.